NYC, 02/24/2019, 7:00PM. 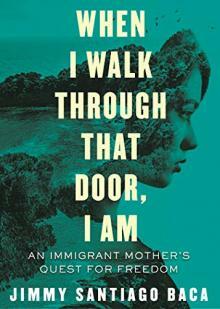 When I Walk Through That Door, I Am: An Immigrant Mother’s Quest for Freedom. Poet and activist Jimmy Sanitago Baca reads from his new book which tells the harrowing story of Sophia, a young mother from San Salvador who travels north in search of asylum after her husband’s brutal murder. Jimmy Santiago Baca is an American poet, teacher, and activist of Apache and Chicano descent, and he holds a number of awards for his easily accessible writing style and activism. He is the author of A Place to Stand, which was developed into a documentary film about his life, airing on PBS.